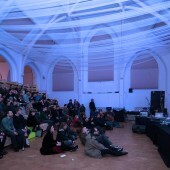 Flatpack Festival is an annual event celebrating films, cinemas and everything in between in unique venues across the City. 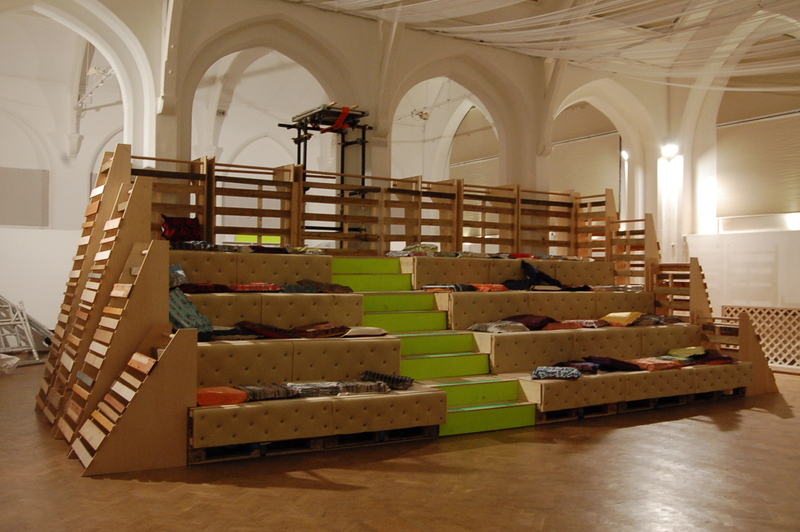 Co.lab instigated the collaboration with the festival to develop a proposal for their palais – one of their key venues for the event. The brief comprised of a multifunctional cinema space and bar in a converted library in Digbeth to accomodating over 120 guests per event. The project started with workshops in light, film and sound to develop a proposal that embraces the drama of theatrical space to accentuate the viewing experience. 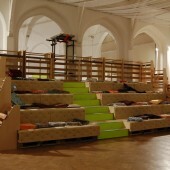 The ‘living room’ as a concept defined the emphasis of the design to make the seating as comfortable and intimate as possible whilst watching a film with 100+ other strangers. 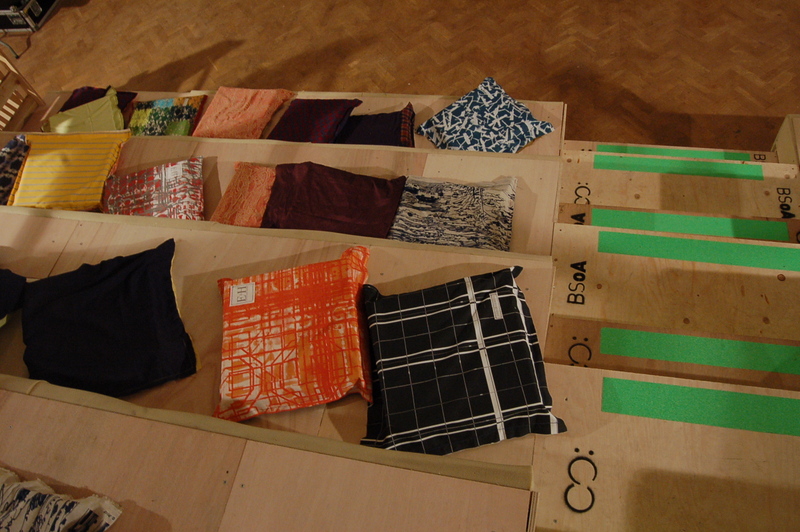 Ensell + Hall were commissioned to produce fabric covers for the seating with students from BA (Hons) Textile Design. Co.lab developed the construction proposal as well as organising the pre-fabrication using the University’s own workshop facilities and logistical operations. Queen and Crawford, a local design fabricator, further collaborated with the students during an intense assembly period to complete the build to fit within a short time frame. 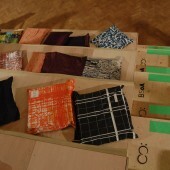 Most of the materials were sourced second hand and most were recycled after the event. The Palais was open over four days for 14 separate events with over 700 visitors. 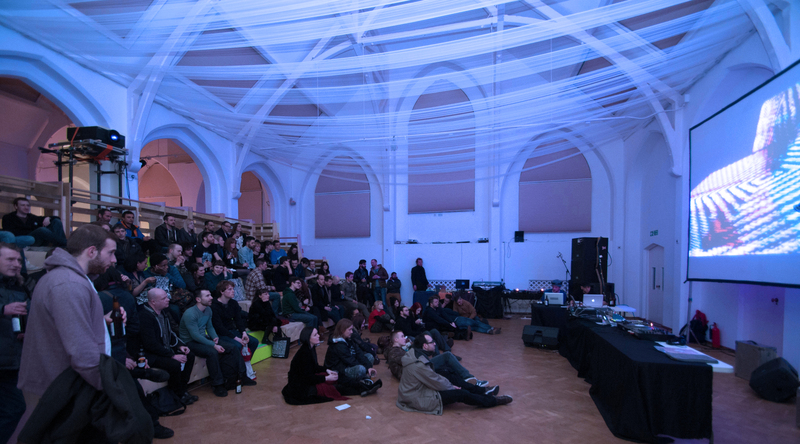 Research Question: Create a cinema auditorium space whilst considering how the city influence film, both as an art form and an experience.